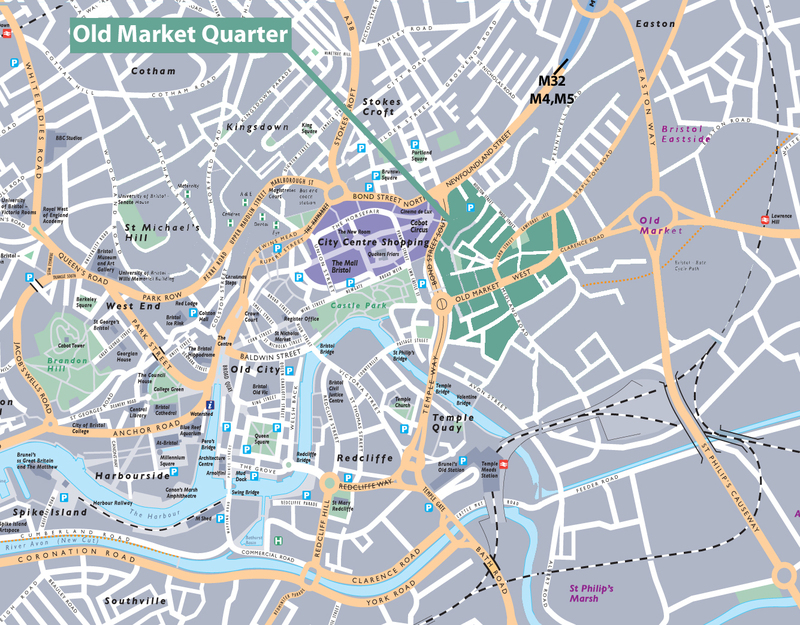 Old Market Quarter is located on the East side of the City Centre. The area is easy to walk around with three large car parks located a few minutes walk away from the main street. Temple Meads main train station is five minutes walk from the main street and the main bus station is a ten minute walk.